For many years I concentrated upon the Welsh 2,000ft mountains, these dominated my hill walking. It was only when I achieved a monthly calendar round of these hills that my hill walking horizon was expanded to take in other lower hills, but I still in the main concentrated on hills in Wales. 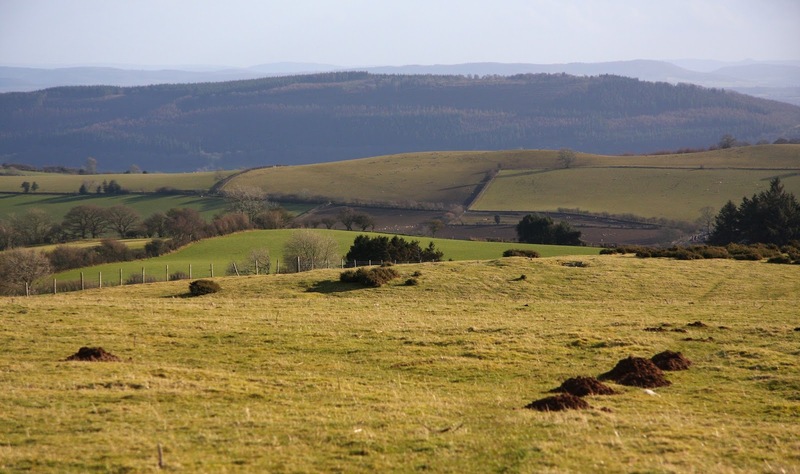 My horizon was extended again when I purchased the Trimble and updated The Fours with Aled Williams for Europeaklist publication, with visits to the Shropshire hills then taking place. 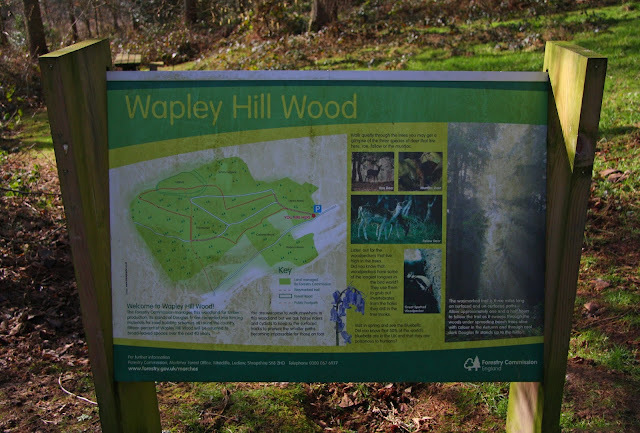 My hill walking activities are no longer led by the bagging need, but more so by surveying, and although I concentrate of hills that appear in listings that I’m associated with, other hills are occasionally visited and surveyed; Wapley Hill being one such example. After spending part of the morning pottering about on a vehicle track and adjacent field surveying the col of Worcestershire Beacon, I drove toward Shobdon and Presteigne, turning off up a lane signposted for Wapley Hill. 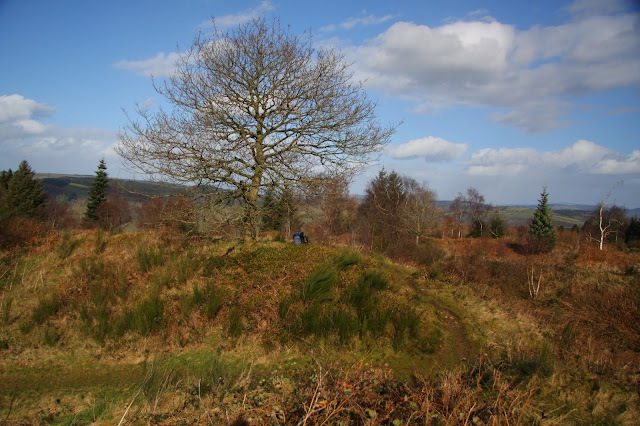 Wapley Hill has an impressive Iron Age hill fort on its summit with the inner bank approximately 5m in height with five separate lines of defence; the hill is also listed as a Marilyn and Hump. 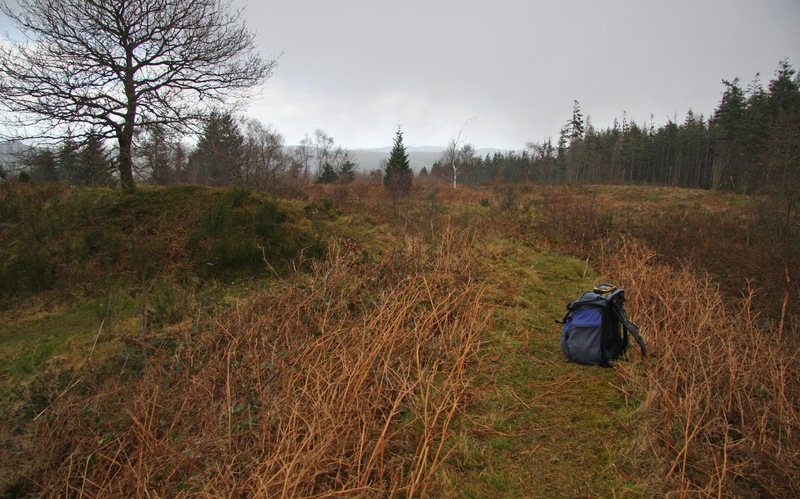 I approached from the Forestry Commission visitor car park to the east south-east of the summit and followed a way-marked forest track that gained height at a steady gradient. 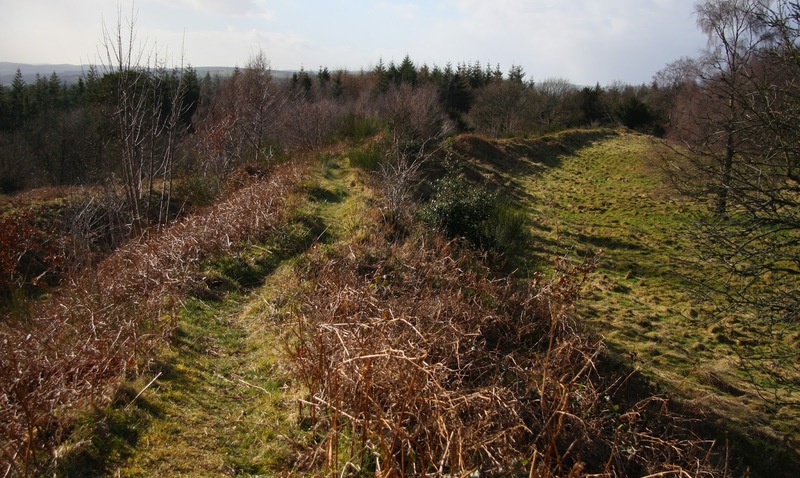 I did wonder whether to follow the forest track as far as a house where a footpath leads through the southern entrance to the hill fort, this is recommended as the wonders of the site are not immediately on view and appear as one walks in to the area of the summit, however I decided to follow a small track to the right that led to the bridleway gaining height on this hill’s eastern ridge, this led to another track leading toward the south-east entrance through the ramparts, with this entrance reputed to be a modern construction. By the time I arrived on top a chilled wind blew from the west, from where huge bulbous grey shower clouds were massing, these rolled down near valleys with Wapley Hill remaining in sunshine, however this was not to last as a snow flurry descended on the hill during the second of two data sets taken. The south-eastern entrance cuts through one of the ramparts, as it does so it bisects the high point of the hill, with the point immediately to the north considered the summit of the hill and the point immediately to the south considered slightly lower, I surveyed each. The northern point nestles under a stunted oak tree, and as the Trimble gathered data I stood lower on the steep faced rampart occasionally looking to the west as an ominous large shower cloud quickly approached. Once five minutes of data were gathered I switched the Trimble off and then back on to take a separate reading from the high point of the southerly top, by now the sky had turned grey and a snow flurry whipped across the land, I stood with my back to the wind as another five minute data set was gathered. 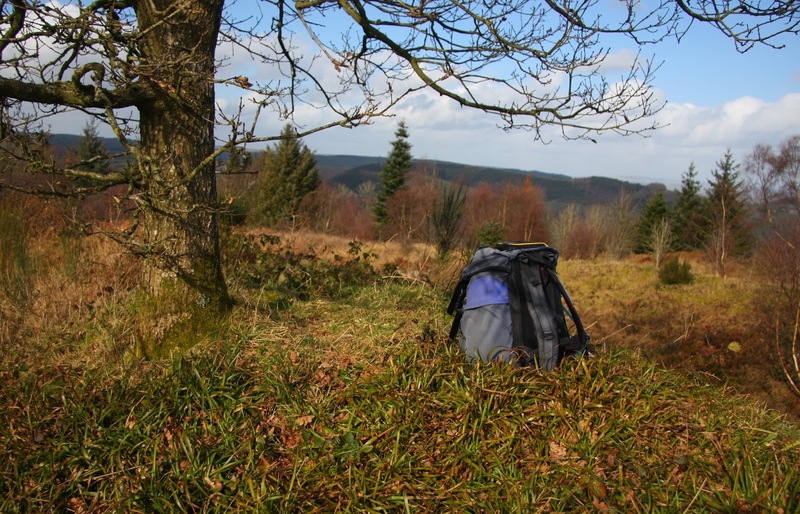 Once data were stored and the Trimble switched off, I packed it away and retraced my inward route back to my car, next stop; The Warren, a 400m Sub-Four to the south-east of Knighton.